"NSPs are at a critical point in their history. They need to understand how the operational side of the business is impacting service delivery and how everything impacts the consumer experience," explains Menier. "The only way to do that is through data...turning that data into business insights...and then making relevant data available -- not just to the internal operations teams but -- even sometimes the consumers themselves in real time." To truly optimize operations and leverage all the data available, NSPs will need to break down internal silos that exist -- and persist - within their operations. This, explains Wyman, is exactly what Windstream is doing. His company has responded to this new landscape by shifting to provide all digital services to its customers. "This transition -- along with new trends consumer data usage -- has really transformed the industry from where we were in an analog space to where we are going in today's digital, all-on, all-the-time world," Wyman says. That is why NSPs are increasingly looking to invest in new technologies -- such as IP, SD-WAN (software-defined WAN) and UCaas (unified communications as a service) cloud solutions -- as they move away from legacy solutions like TDM (time division multiplexing) or ATM (asynchronous transfer mode) environments. "We want -- and need -- to be on the leading edge for new services that empower customers and give them self-control. The only way we can do that is to shift to using new technologies -- big data solutions that leverage AI and automation wherever we possibly can," says Wyman. As NSPs work to stay competitive by harnessing new technologies and developing new services, a new measure of success has come to take center stage within the cable/telco sector. During a recent meeting with a contact at one of the large NSPs, Menier asked what the key metrics would drive the decision-making process over the next year. "Customer experience ranks as the highest metric. Before, NSPs looked at metrics like average handle time or first call resolution. That has absolutely changed – the one metric they are now focusing customer experience," says Menier. "Customer experience has always been important...but now it's an imperative. From our CEO on down, having accurate data that can be used to support customers, install services, troubleshoot services, do all the day to day tasks that are required to provide high quality services is essential. It's imperative to make our data as accurate as we can," he says. "Customers want to be empowered," Wyman says. "They want to be able to make their own decisions. New technologies are key to that. It provides NSPs with insights into their subscribers to improve their ability to make decisions about how they want to configure their services." That is why it is critical for NSP digital transformation initiatives to be primarily focused on the customers and their experience rather than on process optimization. "That is the key to successfully investing in -- and evolving -- the underlying technologies that will future proof the organization. The best scenario is to move rapidly. Start in those bite sized chunks that are going to return value to the customers and to the organization quickly. At Vitria -- with our VIA platform -- we've purposely combined a low-code development platform with solution templates to accelerate transformation to digital operations," says Menier. This approach can lay the groundwork for breaking down organizational and data silos and moving to dynamic failure prediction. 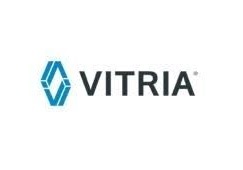 "Our mission at Vitria is to empower organizations to evolve their digital operations on a singular, open platform that will grow and scale with them. We have built a platform that integrates with the technologies we've spoken about and can adapt to changes as markets and processes evolve over time," he says.